I hope you are having a great week. 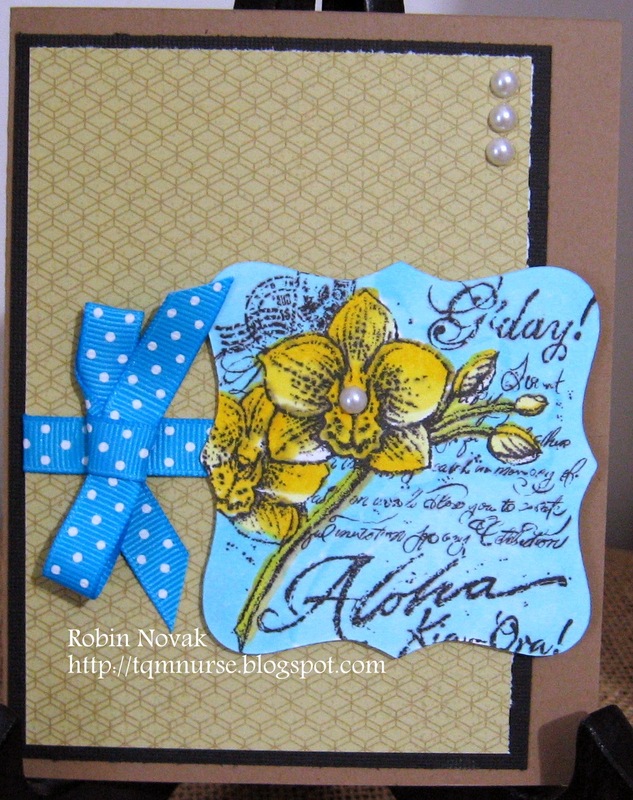 Today, I want to share with you a couple of cards I made using Close to My Heart papers and stamps. 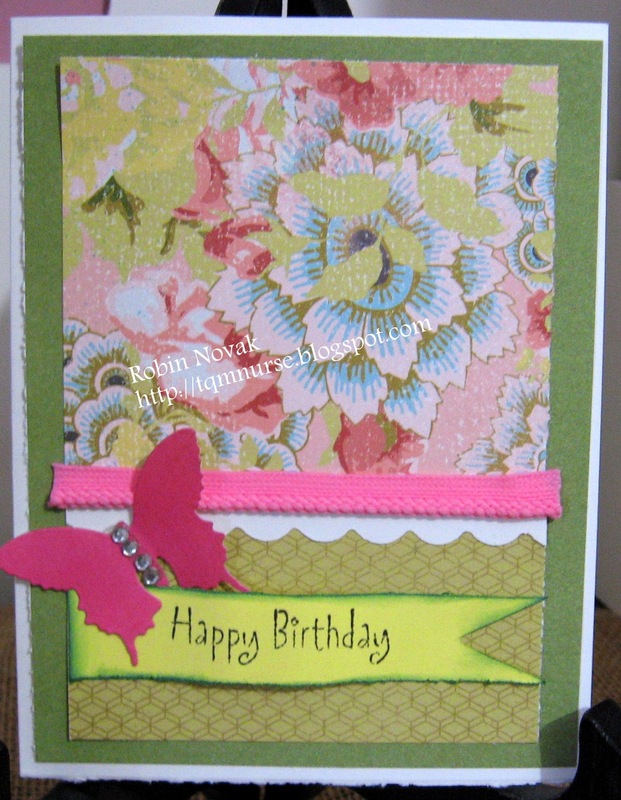 This first card I made for my mother in law. Her favorite color is green so I wanted to make sure it was a dominate color. I used the double sided paper from My Reflections Ariana collection. The second card uses the stamp: Island Greetings. I used my new spectrum noir alcohol markers to color the image. I think I did ok. I still have so much to learn, especially about shading. Don't forget to stop by Robin's Blog and leave her some Bloggy Love there as well and become a follower you don't want to miss the gorgeous projects she shares! Check back NEXT Week for the BLOG Giveaway! !